With this mixed box of 100 single serve sachets, now is your chance to sample some of the Beanies flavours you’ve been waiting so long to try! 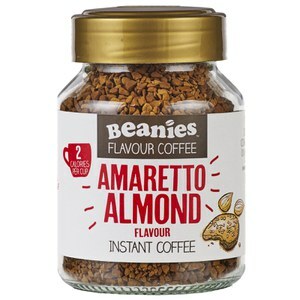 Beanies sachets of flavour instant coffee are the perfect travel companion. 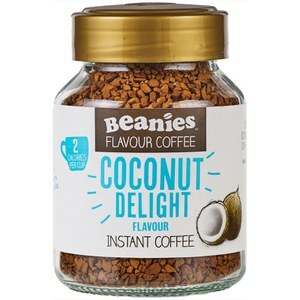 Whether you’re on the go, travelling somewhere exotic or simply stashing them in your office drawer, you’ll be sure to always have a delicious cup of Beanies coffee at your fingertips! 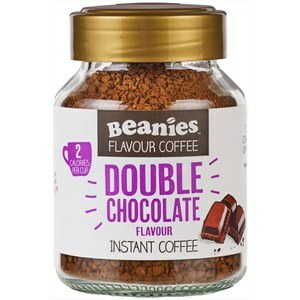 100 sticks of Beanies flavour instant coffee across10 flavours, into a handy dispensing box, that’s 100 cups of coffee! This product does not contain any allergens, but is packed in a factory which handles wheat, oats, gluten, tree nuts, peanuts and cow’s milk. 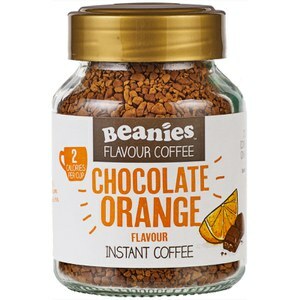 I quite like flavoured coffee while doing TS, but I’m not 100% sure that Beanies do it for me. There aren’t any I dislike, and I will finish them all, and I really like the convenience of coffee sticks, especially while travelling, but I don’t think I’ll buy them again. I think I’ll try 0 cal, 0 sugar coffee syrups in future. I travel for work so these are great when I’m roaming around. I can have a different flavoured coffee wherever I am. Overall they taste great. Not sure about the cherry chocolate one, but that’s personal taste. I will be buying again., although I would like more decaf flavours.